It was under such circumstances that the project “Helping the Helpers” started for the teachers of the Krymske school. The project was conducted by the psychologists of the International Committee of the Red Cross (ICRC). 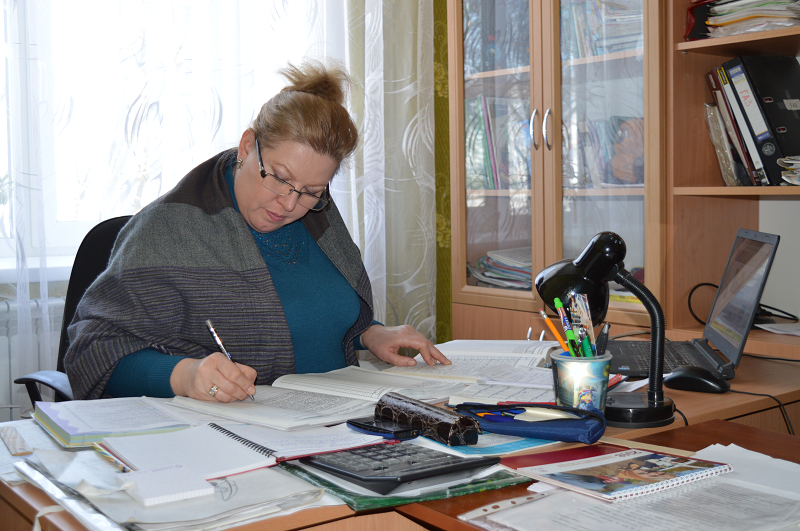 “We have never had our own psychologist at school”, Iryna Bugera explains. “For that reason, in one week of sessions we learned a lot of new things, which we continue to put in practice until this day: how to identify symptoms of stress in a child, and how to help him open up and speak about his feelings by using, for example, a book or through drawing. We have pupils coming from complex backgrounds: while some children come from complete families, the majority of them are raised only by their mothers. Local families move frequently – they leave and come back, taking their children along. The register of moves of children, which the principal shows to us, is filled. According to her, in February 2016, there were exchanges of fire just behind the school yard. They were afraid that the building will not make it, and the roof was damaged. This summer, the 39 pupils of the Krymske school were on holidays. Summer holidays in villages such as Krymske come with a special twist: after the snow melts, villagers find unexploded ordnance amongst the first spring flowers. 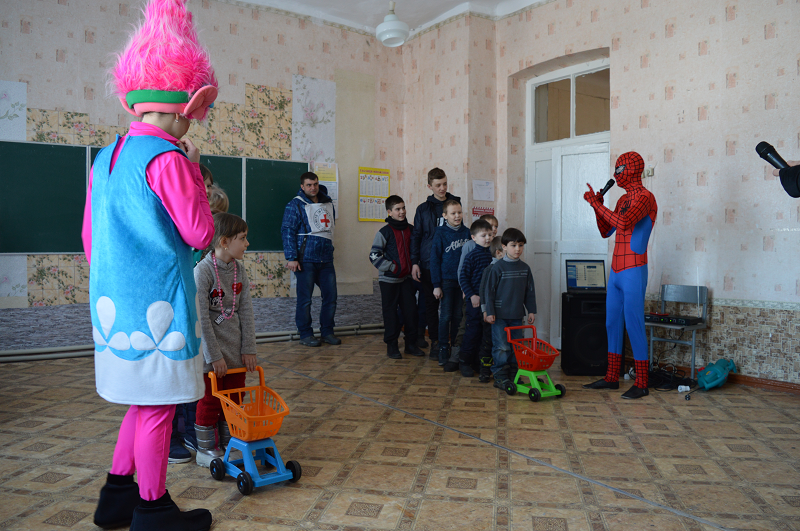 For that reason, ICRC specialists visited the school together with actors, who, using the characters of fairytale heroes, trained children on how to stay safe in the vicinity of such devices. The family of Iryna Bugera has also not been spared of misfortune. Only four walls remain where her mother’s houses used to stand. “It is hard to believe that the oven flew up along with the pipes and the partition”, she remember. Today, on that place there is a new construction, put together with the help of the ICRC. 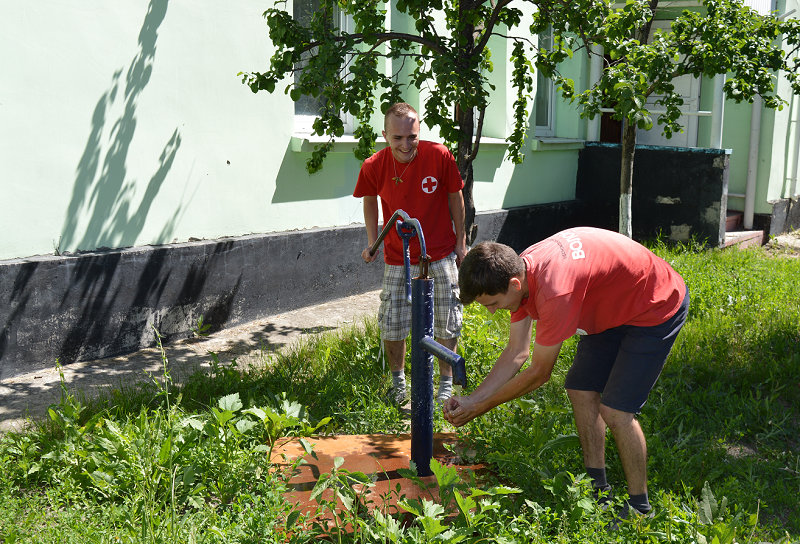 Thanks to the drilling of several wells, families living in Krymske who do not have their own shafts received access to drinking water in 2017. 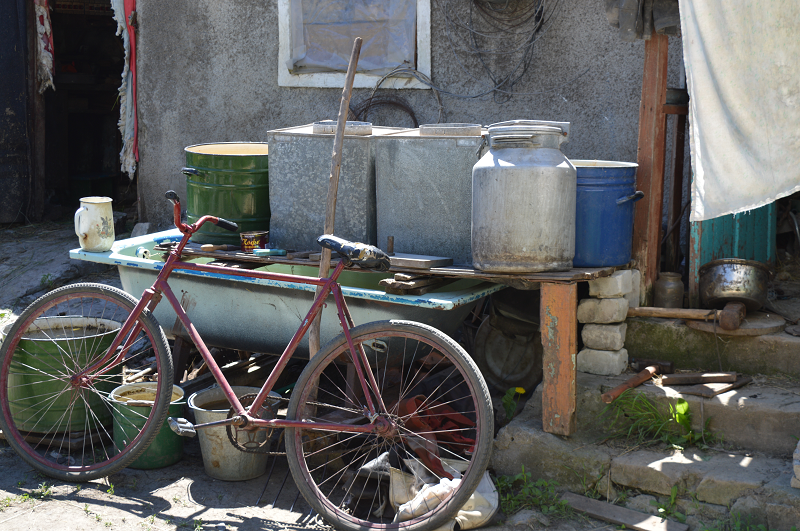 “Here is our own pipeline”, Olena jokes, pointing at saucepans and water containers in the yard. 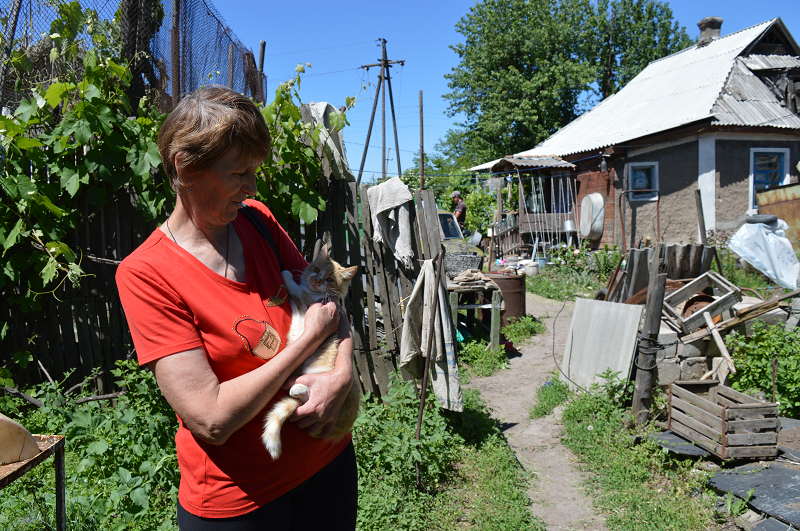 “In winter, we take all of this into the house, so that they would not freeze.” In 2016, Olena’s and neighboring yards were hit by 25 projectiles in the course of one single week. “This is how we live, with help, dreams and hopes. It is sometimes hard to smile. But not to smile is even harder!”, Krymske residents tell us as we leave.